The show’s title “I Hate My Friends” sarcastically comments on the strong bonds between the curator and artists. Hauser says the title represents “the antithesis of the emotions surrounding the show.” She and five of her classmates — Shakhbout Al Kaabi, Nino Cricco, Charlotte de Bekker, Nikolai Kozak, and Agustina Zegers — conceptualized the show last April and used Hauser’s mother gallery for their exhibit space. Much of the work centered around themes of memory and identity. These two subjects seem to intersect in the issue of place, a concern that seems connected to the fact that all the artists live in the UAE. For instance, in his artist’s statement, Nikolai Kozak writes that his work responds to his family’s migration from one ocean to another. In his photographs, a girl (his sister) is bound floral sheets in variously contorted poses. Given the shrouded location of the photo-shoot, which creates the possibility that she could be anywhere, the image suggests that Kozak appears to have separated himself from his family’s shared “mnemos.” Following his peripatetic ancestors, he himself has traveled overseas to the UAE, bringing evidence of his heritage but not much else. Charlotte de Bekker’s multimedia work in “I See, I See What You Can’t” looks at the expatriate landscape of the country more explicitly. Having grown up in Ras al Khaimah, de Bekker counts herself among the 80% of the UAE’s population that are “visitors” to the country. Her photographs and photo-based collages, mounted as open magazines and photo books, confront the tensions she perceives between “Muslim modesty” and foreigners’ cultural tastes. In some works, for instance, the bodies of men and women on beaches are crossed out in permanent marker. In her artist’s statement, de Bekker writes that “I have only recently become sensitive to things like black marks in magazines — but this work is not a commentary on censorship.” Her work focuses on the consumption of media and popular culture by visitors or expatriates. As I study her photographs, media images themselves, they force me to confront my own role in cultural consumption and propagation as a guest in this country. 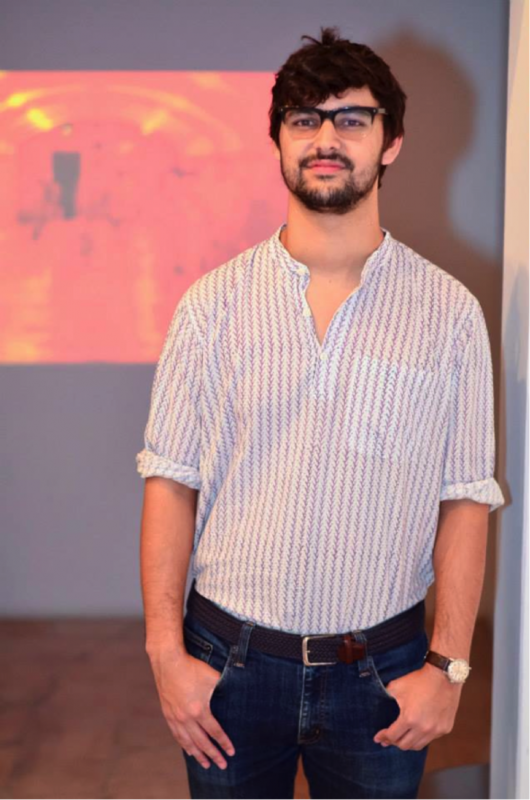 For anyone who has spent time in Abu Dhabi — even those of us who are visitors to the country ourselves — the subjects in Nino Cricco’s video installation are easily recognizable. “Walk Through” features the city’s expatriates who work in the construction and hospitality industries. Cricco’s wall-sized video projection features pedestrians walking in an underpass—because the footage takes place underground in tawny artificial light, it is difficult to know what time it is, or where we are, specifically. That these workers move underground, shadowy and almost phantasmic in their constant motion, allows viewers to draw their own conclusions about the nature of the commentary made by Cricco’s piece. Agustina Zegers’ photographs provide perhaps the least conventional connection to the UAE as a site of identity in the exhibition. She photographed objects belonging to her father, who passed away two years ago, so the photos are as much as portraits as they are still-lifes. Because the objects are visibly worn, they tell a story about a life of their use. Zegers’ father was a painter. 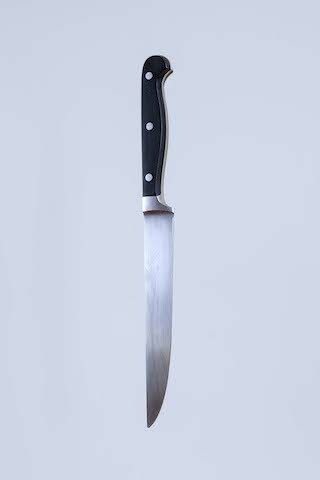 She owns only one of his paintings: a vertical canvas featuring one of his knives, which she has hung in her room in her home in Chile. “The photographs look so clean and professional, but in reality, I shot them in my bedroom,” she said in an interview. “My father’s painting of the knife was hanging right behind the knife, even in the same position, while I was photographing it.” It is perhaps an eerie coincidence, but more likely a testament to the emotion imbued in the print, that the first of Zegers’ photographs that sold was a portrait she photographed of this same knife. Zegers attributes much of her artistic production to NYUAD. Both she and Shakhbout al Kaabi cite class with professor and professional photographer Tarek Al-Ghoussein as motivators and inspirations for their own work. “Tarek was the main reason I got into photography,” al Kaabi acknowledged in a conversation about his work. In fact, Al-Ghoussein encouraged al Kaabi to participate in the Abu Dhabi Arts Festival competition in 2013, which he eventually won for his “An Overthrown Throne” photograph, included in I Hate My Friends. 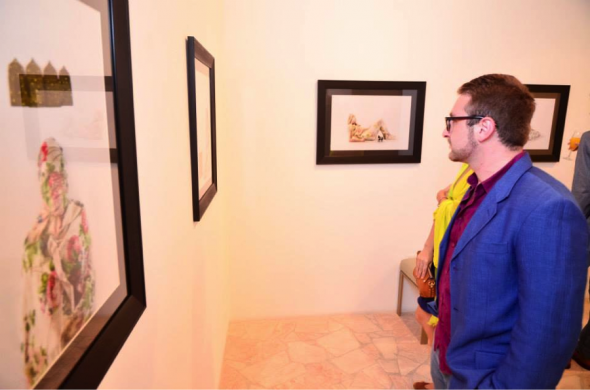 In addition to winning a cash prize, al Kaabi exhibited the image at Emirates Palace and gave a speech at the opening ceremony. 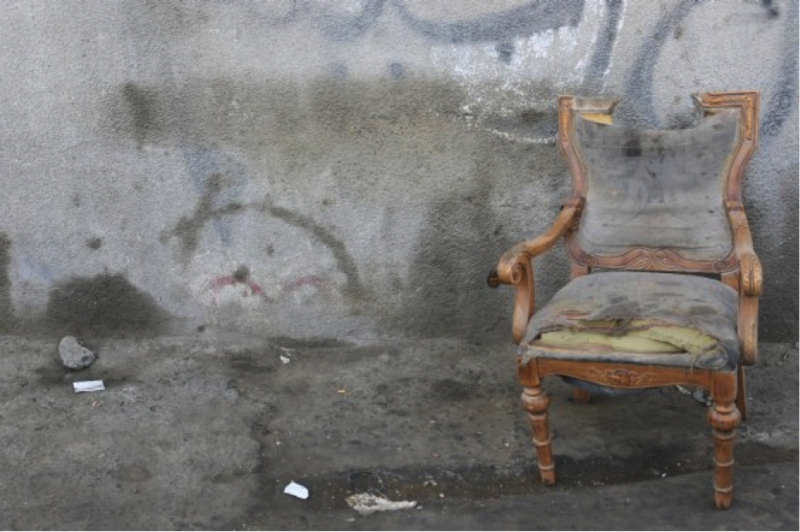 “An Overthrown Throne” makes no overt commentary, but Al Kaabi commented that this photograph references the political vacancies following the Arab Spring. “The people are fighting for the chair, for the power, but no one is sitting in it ultimately,” he says. An Emirati from the village of Muzera in the Dubai area, al Kaabi will join the military after graduation, but he says photography and art will always be his passion. It is clear that XVA contributes to the strength of the arts market in the UAE as much as the arts market has influenced the gallery. Mrs. Hauser suggests that XVA will open a second location in Abu Dhabi once they locate an appropriate gallery space. “XVA has evolved organically over the years,” she says, and she hopes that the concept will continue to grow to include more exhibition space and hotel rooms, art supplies, framing services, and an expansion of its existing artist-in-residency program. Nikolai Kozak, Shakhbout al Kaabi, and Agustina Zegers. 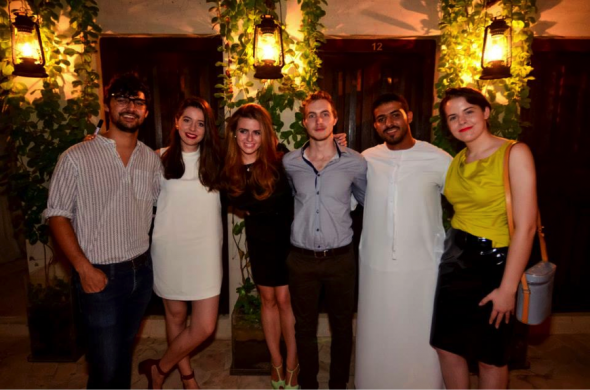 Though people sometimes use the term “student show” derogatorily, the strength of the work in I Hate My Friends attests to the talent of the individual artists as well as the growing attention people are paying to the visual arts in the UAE. Whereas there were hardly any galleries in Dubai eleven years ago when XVA opened, today the UAE is not only attracting nascent artists, but inspiring and informing their works as well. Art by Shakhbout Al Kaabi, Nino Cricco, Charlotte de Bekker, Nikolai Kozak, and Agustina Zegers. Curated by Grace Hauser. I would love to go see this exhibition! Tell me more!